Efinitytech has been providing high level search engine optimization and digital marketing consulting to clients for several years with excellent results. While it is not possible to guarantee “Top Ten” Placement on Search Engine Results; it is nonetheless the objective of such consulting to do just that. Google itself advises that to promise top ten placement, is to commit fraud; therefore, we do not guarantee such results. Our approach is to work with you and help achieve your goals. Unlike other search engine optimization companies, we work with you to provide in office meetings, SEO reports, content development, campaign management, marketing analytics, and newsletter management. At Efinitytech it's more than just search engine optimization; we provide a complete and personal service that focuses on your business needs for all your online marketing. We help you not only get better rankings on google, bing and yahoo, but also bring in customers from other focus areas you may not be reaching. As we work to increase traffic, we strive to ensure that the traffic is relevant to your business and brings in sales. This includes customer retention, analytics reports, keyword traffic rankings, marketing strategy, event tracking, customer involvement tracking, and more. We use our expertise in search engine optimization and our experience over the past 6 years to get you quality results that last. An illustrative example of what can be achieved with organic SEO is to search for “custom plastic enclosures” in Google, Yahoo or Bing. We worked with a client to take him from little or remote visibility to the first page of results. As of recently for this search; our client, is on the First Page in all three and his site often ranks #1! The big three account for over 95% of all searches performed, with Google far in the lead with roughly 70% of all search activity. 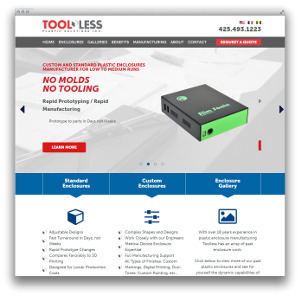 We have worked with Brice Benard of Toolless for over four years. The initial recommendation included a complete site redesign and infrastructure enhancement. This is commonly the first step in the effort to improve the effectiveness of a business website. Further, have managed his paid campaigns on an ongoing basis to enhance their effectiveness and we continuously work with Brice to both develop and expand his content which has resulted in continuous increase in his business and conversions from the website. Additionally we have instituted a newsletter campaign to keep in front of his clients on an ongoing monthly basis. Tooless is now regularly page one for a number of their most sought after key phrases. 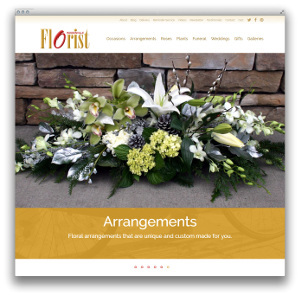 Over the recent years we have been working with Oriana Hammerstrom, the owner of Woodinville Florist to enhance her business through website Optimization and Paid Campaign Strategies. Oriana reports that her overall business is up some 13% year over year due, in her opinion, to the work we have implemented on her site. We have performed detailed and extensive editing and image work on her site, as well as consulted with her on her PPC campaign, which she has recently discontinued, with a resulting improvement in conversion and time on site. We transferred the funding from the paid campaigns to further organic development, as it is fundamentally more effective. During the course of our consulting, we completely redesigned the site to enhance its ease of function and visual appeal as well as implementing Mobile Adaptive design for greatly enhanced performance on phones, especially for ecommerce. Finally, we worked with Oriana to develop a timed Newsletter campaign to gain visibility and conversions for specific calendared holidays.